While poking around the Internet for information on Sunday’s elections in Catalonia1, I came across this article about the preservation of the Catalan language. I had wondered myself how your people managed to maintain your language, despite hundreds of years under regimes that not only had different official languages, but tried to suppress yours. It’s actually quite remarkable. Many nations far bigger and more powerful have disappeared without a trace, and their languages with them. Yet despite the fact that there has not been an independent Catalonia for centuries, the Catalan language and culture are thriving. How have they survived? The author of the article argues that it is precisely that attempt at suppression that made the Catalans all the more determined to preserve their language and traditions. The concept made me smile, because it sounds very familiar. 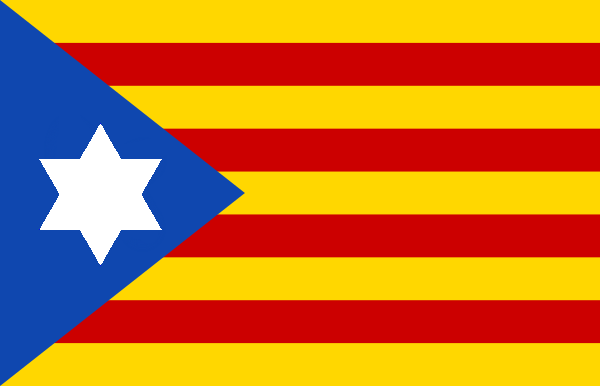 You have often told me that “the Catalans are like the Jews of Spain,” and while I think Spain did a fairly outstanding job oppressing its actual Jews, I understand a little better what you mean now. In this postmodern world of globalization, nationalism is becoming a relic of a previous age. Liberal progressives have begun to see nationalism as tribalism, the kind of grouping together that leads to hatred and discrimination and oppression of minorities. 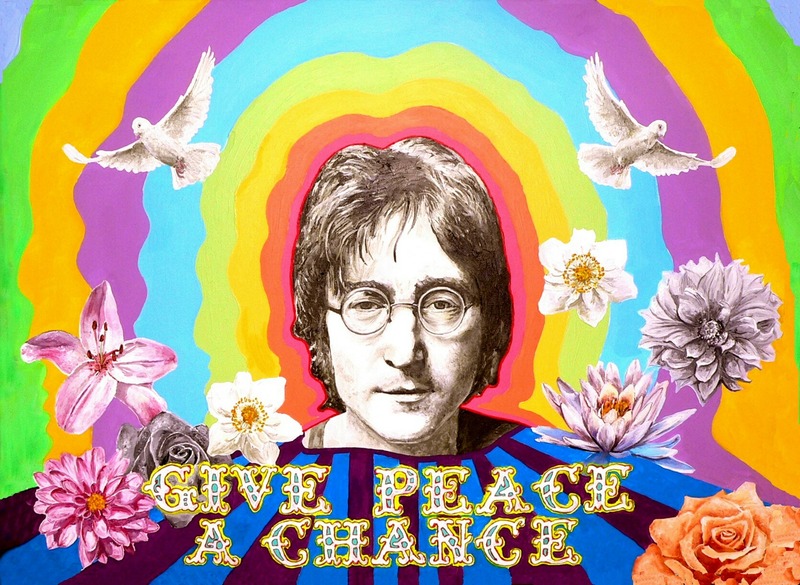 John Lennon’s “Imagine” is celebrated as an ideal vision of a peaceful world: no borders, no nations, no religions, just everybody being together as one. A liberal humanist Messianic vision, if you will. Yes, I know this is a different song. Bear with me here. But that song, and the idea behind it, always struck a sour chord with me. (And not just because of the unimpressive poetry. “I’m not the only one… the world will be as one,” you call that a rhyme…? Sorry, Beatles fans.) Sure, it sounds great for humans to be able to live and move freely and safely wherever they like. I’m all for that. But if you take this idea all the way, to a world that is one huge homogenized “soup” of humanity, removing all differences… wouldn’t this come at the expense of diversity? What if each of these nations Lennon proposes to dissolve has something different and unique to contribute, influenced by the unique conditions under which it formed? Franco’s vision of a homogeneous Spain struck me as a microcosm of the problem with Lennon’s idea. He said to your people, “Oh, stop with your silly insistence on being different from the rest of us. We are all Spaniards.” While I appreciate the compassionate and respectful intentions of humanists who argue that we should all be one, and of course agree with the idea of connecting over our common humanity… on some level, aren’t they saying, “Oh, stop with your silly insistence on being different from the rest of us. We are all humans”? And that’s without even getting into the “no religion” thing. I know that the popular opinion these days is that religion is also a destructive force, responsible for much of the violence in the world. I beg to differ: human nature is responsible for the violence in the world, and for distorting religion to justify it. I would argue the opposite: religion is responsible for introducing the concepts of self-discipline, respect and compassion for fellow man, and upholding human rights that the Western world takes for granted today. But that’s beyond the scope of this post. Hopefully I’ll write more about it in the future. Back to Franco. Faced with his oppression, the instinct of your people was to defiantly cling to your identity. No dictator was going to tell you who you are. We Jews had much the same reaction to all the regimes that tried to oppress us. I think that, like many other “isms” in the world, nationalism is a neutral concept that can be used for good and for evil. When using it for evil, nations use it to exclude and oppress others; but when using it for good, nations use it to know themselves, to have a strong sense of purpose, and to move forward together as a group with a common destiny. Nationalism, at its core, is the belief that your nation has its own unique and important contribution to the story of humanity–through its language, through its traditions, or through its culture. It is the assertion that you have a right to be who you are, and to love who you are, and to embrace what makes you different, as a people. Without even getting into the question of Jewish nationalism (a.k.a. Zionism), we Jews have gotten a lot of flak for referring to ourselves as the “Chosen People.” I know it sounds like an elitist idea. But it doesn’t mean we think we’re better than anyone else. It means that we believe we have an essential and unique role in the story of humanity. The Jew saw them all, survived them all, and is now what he always was, exhibiting no decadence, no infirmities of age, no weakening of his parts, no slowing of his energies, no dulling of his alert but aggressive mind. All things are mortal but the Jews; all other forces pass, but he remains. What is the secret of his immortality? I think a good way to explain how Jews view our role in the human story is an essay by Rabbi Aryeh Kaplan, a Jewish physicist and philosopher, called “If You Were God.” He proposes a thought experiment, whereby the reader is asked to imagine that he is given the mission to create a healthy and compassionate society on an island of several tribes that are belligerent and exploitative of one another. While the reader is given full “power” to do whatever he wants on the island, it is of crucial importance that he not reveal himself, because the islanders would not be able to handle it and would be reduced to a vegetable-like state of dependence on the all-powerful being that controls their island. Rabbi Kaplan’s suggested solution is to introduce a tribe of “infiltrators”–people who can teach the islanders about kindness and compassion towards one another. You can read the full essay here (and I highly recommend it, as my summary can hardly do it justice). But I think the best summary of all is this incredible animated essay by Rabbi Jonathan Sacks, which he released shortly before Rosh Hashana this year, adapted from his recent book Radical Then, Radical Now. I watched it over and over and it brought me to tears every time. Every word he says here expresses exactly how I feel about what it means to be a Jew. With the future of Catalan independence still uncertain, all I can do is wish you that through being what you alone are, you will give to humanity what only you can give, and pass it as a gift to the next generation, and they to the next, regardless of who holds sovereignty over Catalonia. Your people has already proven its stamina in preserving its uniqueness under challenging conditions. May you always take pride in your people, and use your nationalism to spread your unique light in the world. Oh and by the way, I hear that among the first steps the Catalan government is planning to take towards independence, is setting up the foreign office and embassies in other countries. The Basque have also done an amazing job of protecting their identity in the face of pressure to assimilate. Which probably says something about the effectiveness of such pressure. The Catalans, at least, have not resorted to violence.